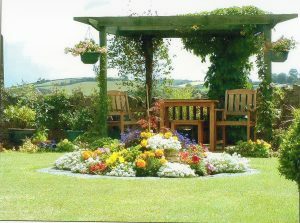 We would like to welcome you to Garden View situated in the pretty village of Kingskerswell, South Devon. This small friendly village welcomes visitors all year round and is a wonderful base from which to explore the South Devon Coast, Dartmoor National Park, Teignbridge, The South Hams and all the attractions these areas offer. The village is an ideal starting point for the walker, giving easy access to the South West Coastal Footpath, the John Musgrave Heritage Trail, The Templar Way and the Two Moors Way. 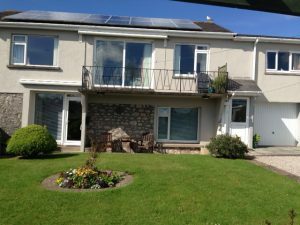 Garden View is ideally situated between Torquay and Newton Abbot with easy access to main line railway and motorway networks. The property is a mid 18th Century Apple Barn that was converted to living accommodation in the 1960’s. The apartment is on ground level and has been refurbished to a high standard and includes all the facilities to make your stay as comfortable and enjoyable as possible. Sorry, but we cannot accommodate either smokers or pets.